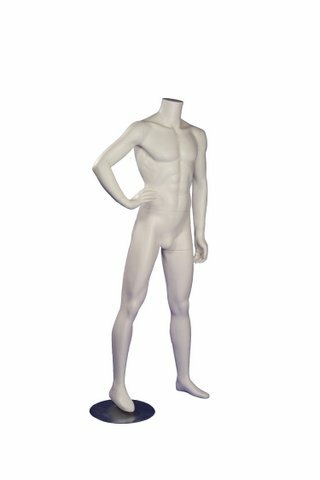 Fibreglass male mannequin - White. All mannequins are supplied with foot and calf fittings. The calf fitting is required when the mannequin is fitted with shoes. Some assembly required. Height: 172cm. Chest: 100cm. Waist 79cm.